You do not need to provide any personal information such as your name or email address to use our website or bet calculator. The information we store helps us to improve our site by monitoring how you use it and respond to any feedback you send us. We store your IP address, web browser details, the page requested and the time of the request. All communication between your browser and our servers is SSL-encrypted, the same level of encryption used by banks. If you contact us we will keep a record of the conversation to help us solve future issues. We will never share your email address or email contents with a third party. Cookies help websites respond to you as an individual and improve your user experience by remembering information about your preferences. Cookies are small files stored on your computer that can persist between browser sessions. A cookie does not give us access to your computer or any information about you, other than the data you choose to share with us. We use a cookie named ‘odds-format’ to store your preferred odds display format (decimal/fraction/American). This is so you don’t need to reselect the option each time you visit us. Many web browsers accept cookies automatically. You can decline cookies by changing your browser settings. However, your preferred odds display format will then not be stored. We are committed to keeping all information we collect secure. The data is stored on our secure server located in Ireland. We will never share this data with a third party. 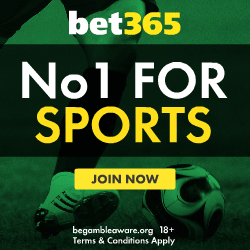 We link to other websites such as bookmakers and websites that contain betting related offers, as well as links to the social media websites: Facebook, Twitter and Google+. If you don’t want Google Analytics to use your data, you can use the Google Analytics opt-out browser add on.